Discussion in '3D Remeshing' started by RHY3756547, Sep 13, 2017. Full remeshes of all base game windows. No custom textures, one draw call per window rather than 2. 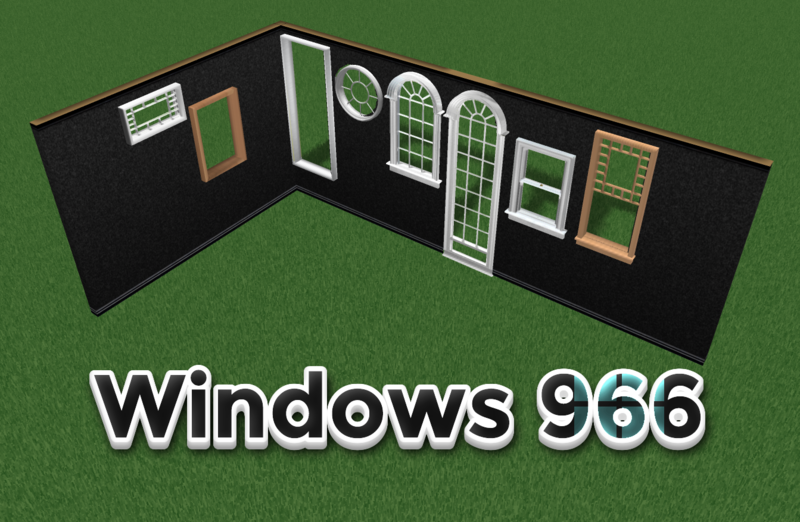 3D reconstruction of windows in TS1/TSO results in a really bad planar projection, so doing something like this was a priority. It was also a lot of fun. I probably won't do any other meshes apart from this. I just did this to get used to meshing and UV mapping on a basic level, and to verify that a few key features were working. One thing added here (blank obj import) will be added to the next version of volcanic, to let you create meshes worth 0 draw calls for multitile objects as well. What could the name possibly mean? It is up to you to find out. Locate the folder you have installed FreeSO into (where FreeSO.exe is). Extract the .fsom files into the Content/MeshReplace folder. Alonzo, zero35, Raeven and 8 others like this. Look at those windows... dreadful. MarkM, Alonzo, mrpenguinb and 1 other person like this.